This entry was posted in Uncategorized and tagged assumptions, best, Don Miguel Ruiz, dream, imeccable. Bookmark the permalink. 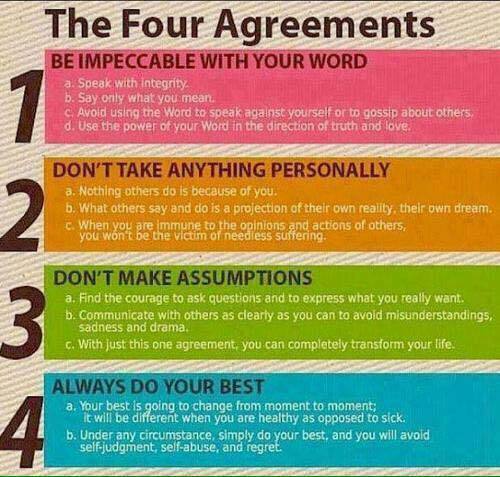 Good principles to live by. Except I’m not sure if I agree with the prohibition against gossiping. According to neurobiologists, human beings are hard wired to gossip and it serves an adaptive function. Gossiping about the negative things that happen to other people helps us prepare for those situations ourselves.